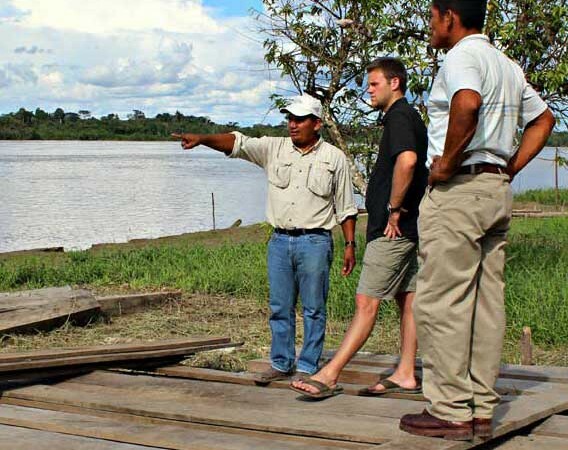 Missions in the Amazon is a non-profit organization bringing holistic transformation to villages throughout the Peruvian Amazon Rainforest by forming sustainable, missionally-minded communities led by indigenous leaders. Globally Minded – We believe everyone has been mandated to “go into all the world and make disciples,” and it is our passion to help individuals discover what that specifically looks like in their life (Matthew 28). Though we love the work we are doing in the jungle, we know there are thousands of organizations that are doing meaningful work around the world. With that reality, we are committed to both integrating people into our ministry and serving as the spiritual catalyst in people’s journeys and sending them on their way. So whatever our role may be in an individual’s journey, we will strive to provide an experience that exposes them to a world outside of that which they know, and unleash them to be a world changer! Constantly Learning – Having found success through many different strategies, we have come to the conclusion that there is no “silver bullet” in ministry. There is no program or initiative that will stand the test of time, beyond that of our hope in Jesus Christ and his redemptive nature. With that understanding, we strive to continually learn from a wide variety of resources in developing our strategies and initiatives. The first resource we depend upon is that of the indigenous villagers and their congregations. We then lean on our own team’s wisdom and intellect and consider everything in prayer. Lastly, we study best practices around the world and collaborate with other individuals and organizations that can help us accomplish our mission. Sustainability – Jesus was sent to redeem and bring reconciliation to the world. We are confident that his redemption is not simply spiritual, but real and tangible for us in our everyday lives! We believe we have been given the power and mandate to bring reconciliation to villagers throughout the Amazon Rainforest by providing knowledge, skills, resources, and the hope of a better future. We have created a five year plan that aims to bring about this reconciliation in a community. The strategy starts with the Gospel message and then moves to create a foundation. From there, we move to the development stage, which creates sustainability. Lastly, as communities begin to flourish, they begin to commission their own villagers to bring the same hope and purpose to those who have yet to find it. Authenticity – We realize that it can be very hard to find organizations that are willing to expose their ministry to outsiders. Whether that be through a mission trip, reports, correspondence, or even in giving to a cause, the amount of red tape, restrictions, or administration can be very frustrating. In contrast, we have committed to giving people the most authentic experience possible. By allowing people to live and work alongside of us in our mission, people have the opportunity to be exposed to the Amazon Rainforest just as we experience it! We believe that if someone trusts us and depends on God to help them throughout the experience, then their life will be dramatically affected and changed for the better! We are also committed to being good stewards of the resources that God sends us to accomplish His mission, by always being transparent, flexible, and doing our best to connect people with the initiative they want to support. Having a native Peruvian as our Director, Jorge Montero knows and understands the culture of the villagers throughout the Amazon River and its tributaries. This knowledge allows us to quickly develop relationships with hundreds of villagers of different backgrounds and beliefs. Once we make contact with a new village, we dedicate ourselves to building relationships with the villagers by seeking to learn and understand their culture, desires and needs firsthand. We then develop innovative systems and models in partnership with indigenous leaders that provide sustainability and the hope of a prosperous future. Next, we partner with people around the world that have resources and a passion to provide hope to villagers. We believe that all partnerships should be mutually beneficial, so we offer a wide range of resources to our partners, from firsthand experiences like mission trips and internships, to daily devotionals, speaking engagements and ongoing mentoring services. 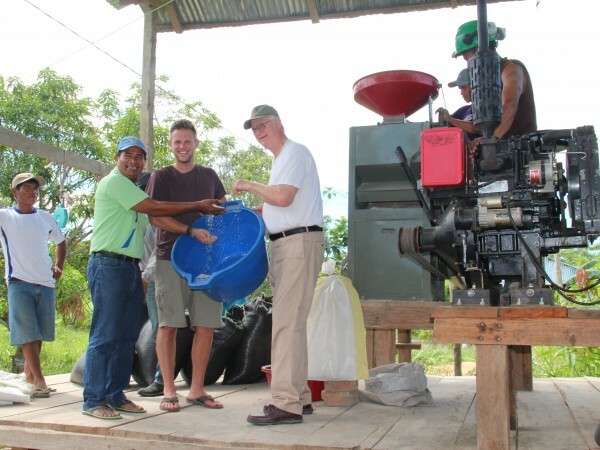 Finally, we work together with our partners to see God work in amazing ways throughout the jungle! We always start with prayer and ask God to unite our hearts and reveal His plan for us. From there, we love exposing people to the work we are doing in the field. Often times, this means connecting people who are seeking mission trips or internships with a life-changing experience. 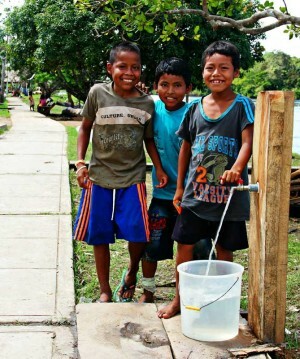 We are open to sending any individual, family, or group to make a lasting impact on the Peruvian people. We have numerous ministries to get involved in (building churches, community centers, sustainable businesses, and hosting seminars just to name a few). We also love to partner with individuals and businesses! We have more than 10 business partners who celebrate their involvement with Missions in the Amazon inside of their business as an evangelism tool! Lastly, we provide discipleship, mentoring, and personal growth tools to any partner who would like such resources. Our ministry is non-denominational. We believe in the Holy Bible and serve Jesus Christ as our only Lord and Personal Savior. 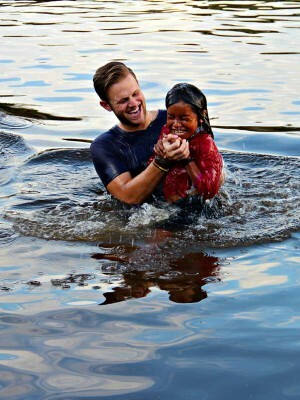 We believe in baptism in water as a profession of our faith and that our path is depicted in the Word of God, the Bible. Prayer is the way we communicate with God, we partake of the Communion, and preach that grace and mercy are given by God for his children. Finally, we believe that our Lord will eventually return to this world through the Second Coming of Jesus and that only His followers will be saved. The biggest obstacle that we face is the survivalist mentality that is ingrained in the minds of most of the villagers at an early age. We combat this challenge by establishing long-term relationships with the villagers and providing continual learning opportunities. We also depend upon God to reveal himself in numerous ways: through his tangible presence, through our personal actions in the field, through the presence of the Holy Spirit and His fruit (love, peace, joy, etc), and through His supernatural power to perform miracles and prophecy. There are also many demonic enemies of our ministry, with many of the native villages still practicing witchcraft and shamanism. This evil is rampant throughout the rainforest and is definitely a mission field that needs to be reached. We have converted several of these hostile tribes through building relationships, providing for their needs, and performing miracles. These villagers are now some of our most committed followers. There are also challenges with competing faiths. We remain confident that our mission provides enough perspective and hope to speak for itself, but our passion to establish relationships despite a villager’s beliefs allows us to continually present opportunities to reveal our faith as we develop their villages.